First baseman Prince Fielder apparently has signed a nine-year contract with the Detroit Tigers worth a reported $214 million. Detroit isn’t exactly a huge market, especially with the way the economy has gone downhill in that neck of the woods. But the Tigers somehow have the cash to maintain the team as a viable playoff contender. Pittsburgh isn’t exactly a huge market, either, as we’re constantly reminded. So there was no way the Pirates were in the running for Fielder, or apparently anyone who wanted more than $5 million to play in 2012. OK, let’s stop there. Look at the three guys making $480,000 apiece. All of them are arbitration-eligible after the 2012 season. And if McCutchen and Walker play anything like their capabilities suggest, they’ll want a heck of a lot more cash. Not Prince Fielder-type money, but something to catapult them into Barajas-Correia territory. Will the Pirates pay up? Hey, if Clint Barmes makes more than anyone else on the team, anything’s possible. Let’s hop into the time machine and visit the Pittsburgh Pirates as they prepare for Spring Training 1992. Catcher: Mike LaValliere. Spanky provided consistency behind the plate in 1991 while hitting .289. First Base: Orlando Merced. His .275 batting average with 10 home runs and 50 RBI were enough to earn him second place in the NL Rookie of the Year voting in ’91. Second Base: Jose Lind. The previous season, Lind logged his fourth consecutive 150-game campaign while hitting a solid .265. Shortstop: Jay Bell. Showing plenty of pop for a middle infielder, Bell cracked 16 homers in ’91. Third Base: Steve Buechele. Acquired at the trading deadline in ’91 to bolster the offense at the corner, Buechele re-signed with the Pirates as a free agent in December. Left Field: Barry Bonds The 1990 National League Most Valuabe Player should have repeated the following year, but the voters opted for the Braves’ Terry Pendleton. Center Field: Andy Van Slyke. Posting a bit of an off-season in ’91, Van Slyke still drove in 83 runs. Right Field: Kirk Gibson. The NL’s 1988 MVP signed with the Pirates after a 16-homer season for the Royals in ’91. Doug Drabek. The 1990 NL Cy Young Award winner compiled a 15-14 record the following year, but led the team with a 3.07 ERA. Zane Smith. The lefthander justified his acquisition from Montreal for Moises Alou by winning 16 games and posting a 3.20 ERA in ’91. Randy Tomlin. In his first full season, Tomlin led Pirates starters in ’91 with a 2.98 ERA. Bob Walk. The future Pirates broadcaster was coming off a 9-2 season. Returning to anchor the bullpen were Stan Belinda, Bob Patterson and Roger Mason. Fast-forward to the end of the ’92 season, when the pirates advanced to the playoffs for the third consecutive year. Bonds carried the offense, leading the team with 34 HR, 107 RBI and 36 stolen bases while batting .311 to win MVP honors. Van Slyke hit a career-high .324, leading the league in hits and doubles. Drabek (15 wins), Tomlin (14) and Walk (10) led the rotation, joined in midseason by Danny Jackson from the Cubs and Tim Wakefield from the minors. Wakefield was particularly impressive, going 8-1 with a 2.15 ERA down the stretch. On the other hand, Gibson lasted only 16 games before his release. Buechele gave way at third to former No. 1 draft pick Jeff King, who batted .231 with 14 HR, which tied him with Van Slyke for second on the team; only three Pirates hit more than 10 homers. Whatever the case, the Pirates managed to carry a 2-0 lead into the ninth inning of the seventh game of the National League Championship Series. What happened next … well, everyone in Pittsburgh knows and doesn’t want to remember. Nor does any Pirates fan want to remember what happened after 1992. Now that football season is over, at least as far as Pittsburgh Steelers fans are concerned, let’s take a look at what the 2012 baseball season holds in store. The Pirates are coming off a mixed bag of a season. You might remember them as being in first place in late July, then losing a 19-inning game on Umpire Jerry Meals’ bad call. It was all downhill from there, in a big way. Erik Bedard. The 33-year-old lefty (pictured at left) posted two consecutive stellar years for the Orioles. 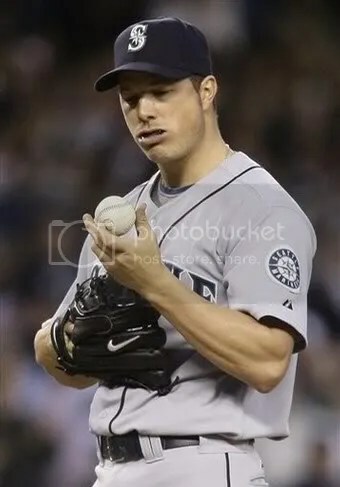 He went 15-11 with a 3.76 ERA in 2006 and 13-5, 3.16 ERA (fourth in American League) in ’07. He has been plagued by injury and inconsistency since, winning just 16 games and missing the entire 2010 season. The Pirates signed him to a $4.5 million contract for ’12. Rod Barajas. The good news: Barajas has hit 178 major-league home runs, including 16 for the Dodgers in 2011. The not-so-good news: He’ll be 37 before the end of this season and has a career .238 batting average. Given the Pirates’ track record with ostensibly power-hitting catchers – Ryan Doumit and Chris Snyder, for recent example – Barajas had better be careful out there to avoid major injury. Clint Barmes. Another thirtysomething – he turns 33 on March 6 – Barmes posted some half-decent numbers in a few seasons for the Colorado Rockies. His numbers in Houston last year were underwhelming: .244, 12 home runs and 39 RBI. But he might prove to be an upgrade at shortstop for the Pirates. Casey McGehee. Hey, here’s a guy who won’t turn 30 until October! McGahee was tremendous for the Brewers as late as 2010, hitting .285 with 23 homers and 104 RBI. His production fell dramatically last year, and the Brewers decided to sign All-Star (after his Pirates career) third baseman Aramis Ramirez and part ways with McGehee. He might provide a viable alternative if (when?) Pedro Alvarez tanks again. Nate McLouth. Welcome back … maybe. McLouth, who’s 30, would like to forget his two-plus seasons with the Atlanta Bravers. So would we. But don’t look for a repeat of, say, his 2008 campaign, when he hit 26 home runs, stole 23 bases and led the league in doubles. Plenty of observers thought that was a fluke, and his performances in 2010 (below the Mendoza Line) and 2011 (.228 with 16 RBI) would seem to bear that out. Yamaico Navarro. The 24-year-old infielder has had a few cups of coffee in the majors with the Red Sox and Royals, including hitting .304 in a handful of games for Kansas City in late 2011. The Pirates traded Brooks Pounders and Diego Goris to acquire him. I’ve never heard of those guys, either. Jeff Clement. He’s baaaack. Well, maybe. Another non-roster invitee, Clement won the Pirates’ starting first-base job coming out of camp in 2010. He did hit 7 home runs, but his .201 batting average and 37 strikeouts in 144 at-bats cost him his job. He hasn’t played in the majors since. Nick Evans. He’ll turn 26 on Jan. 30. Another non-roster invitee and primarily a first baseman, Evans had 176 at-bats for the Mets last year, hitting .256 with 4 HR and 25 RBI. Jake Fox. A guy who’s split his time between catcher, first base, third base and outfield, Fox turns 30 in July. 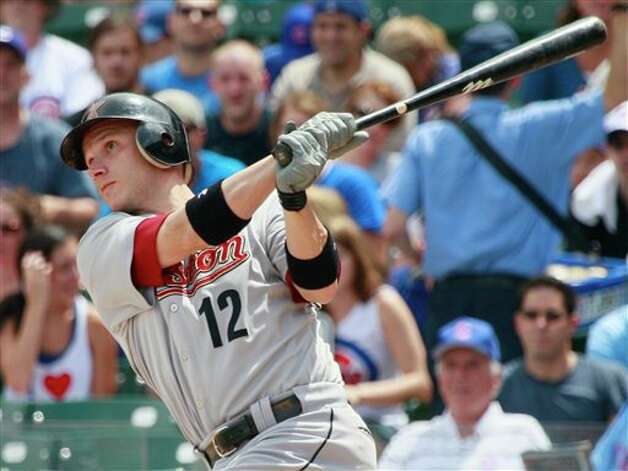 He hit 11 home runs for the Cubs in 2009, and nine since with the A’s and Orioles. Another non-roster invitee, perhaps his versatility can earn him a spot with the Pirates.